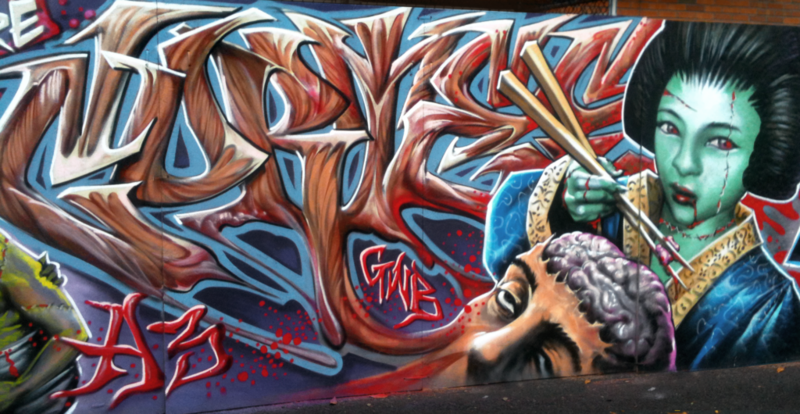 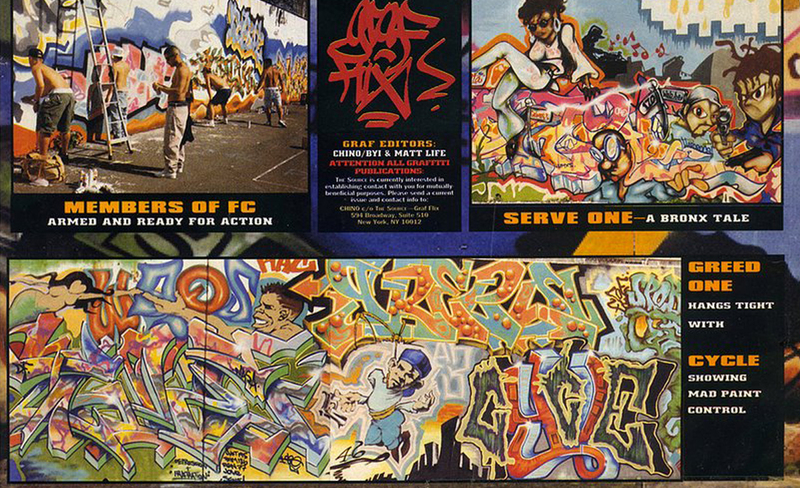 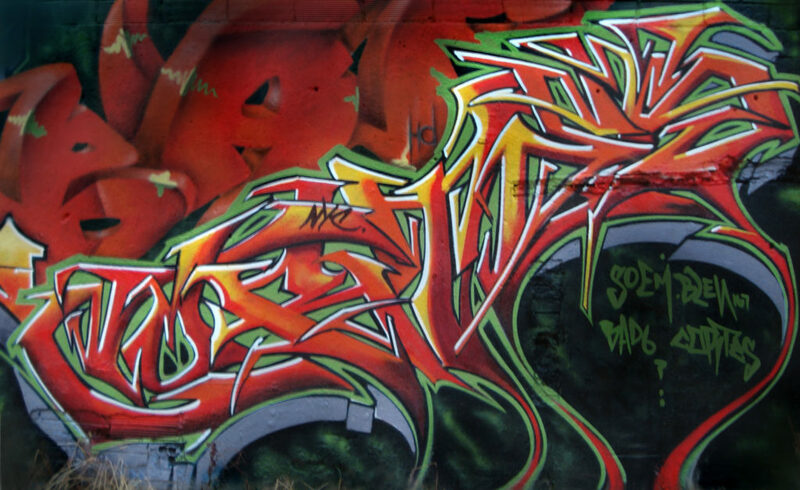 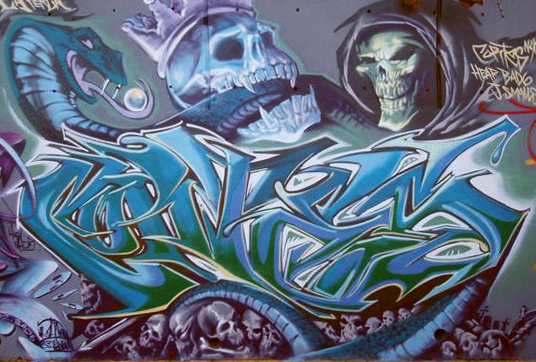 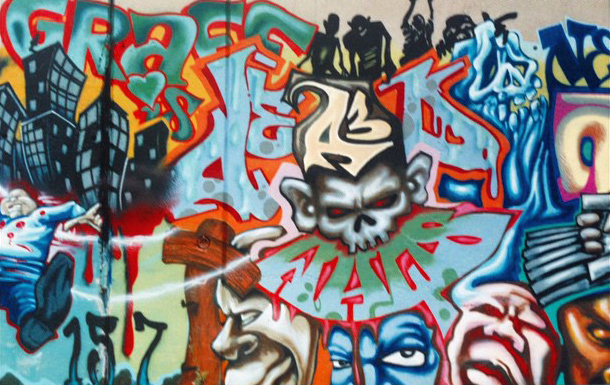 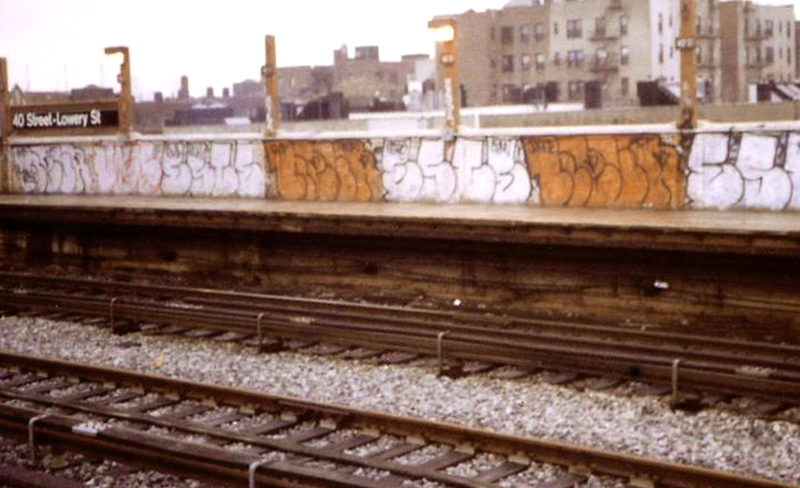 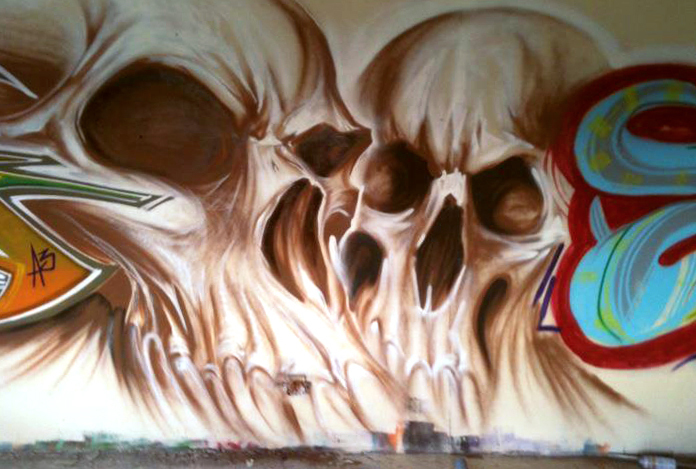 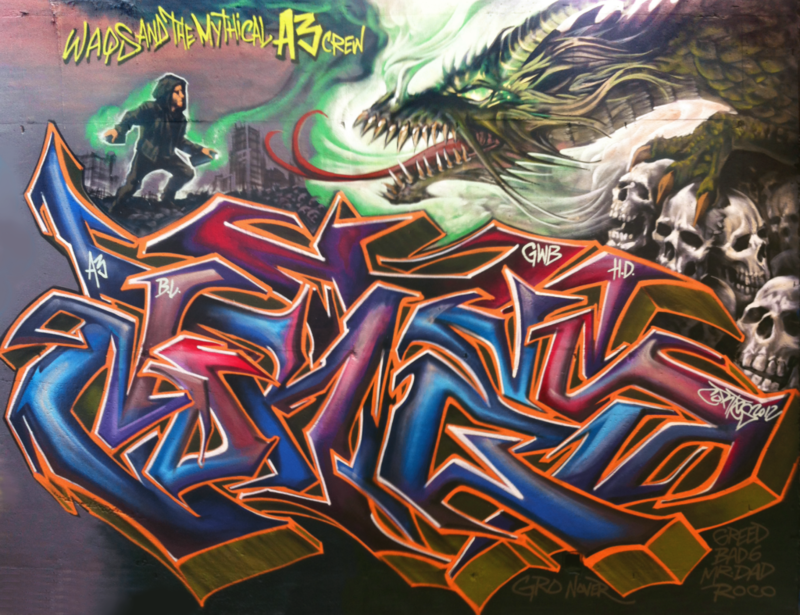 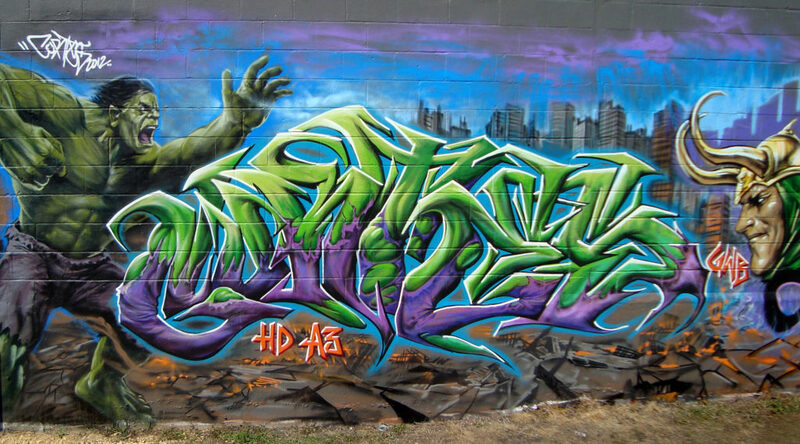 During Hip Hop's golden era, Graffiti also had it's own creative growth. 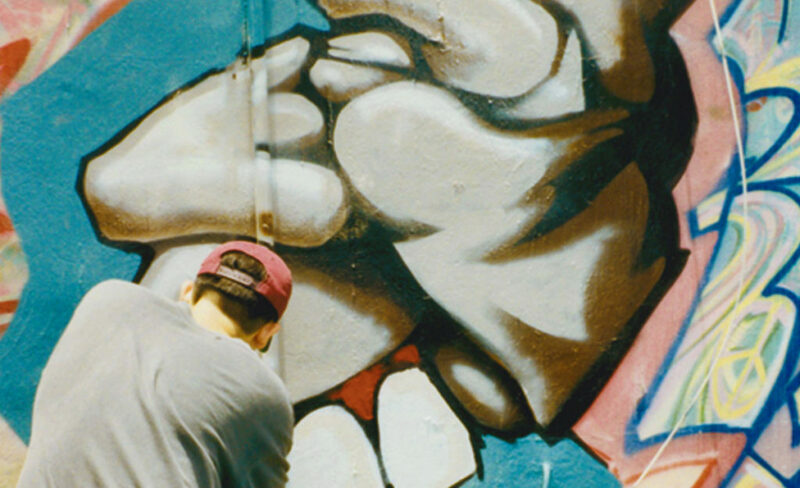 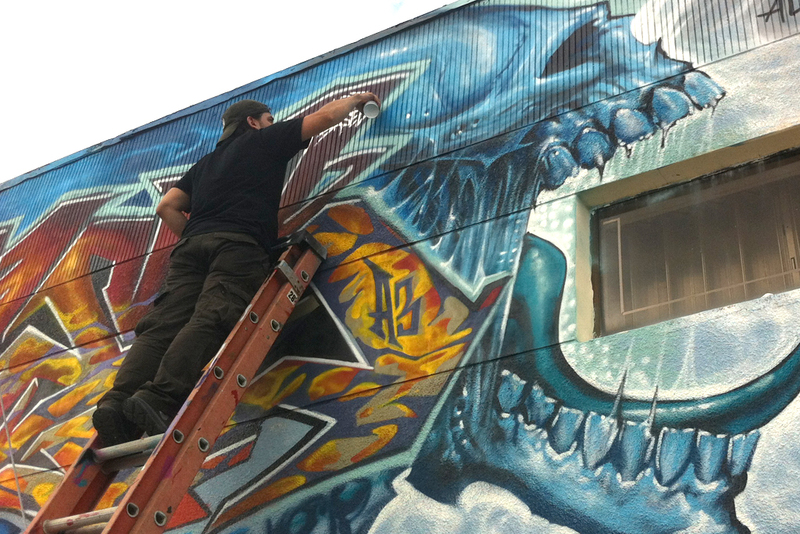 The paint brand of choice was Krylon and artists were just beginning to understand how to find alternative spraycaps that would allow them to achieve new levels of detail. 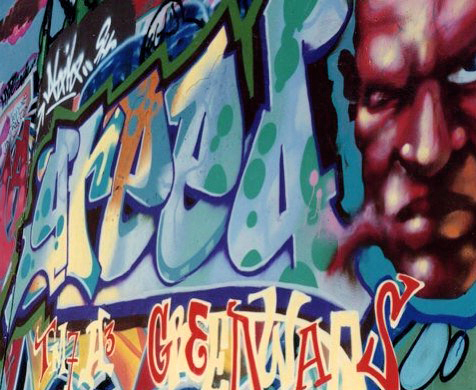 Just like 90's hip hop began to find inspiration in Jazz and funk samples, Graffiti artists also found inspiration in classic art and improvisation. 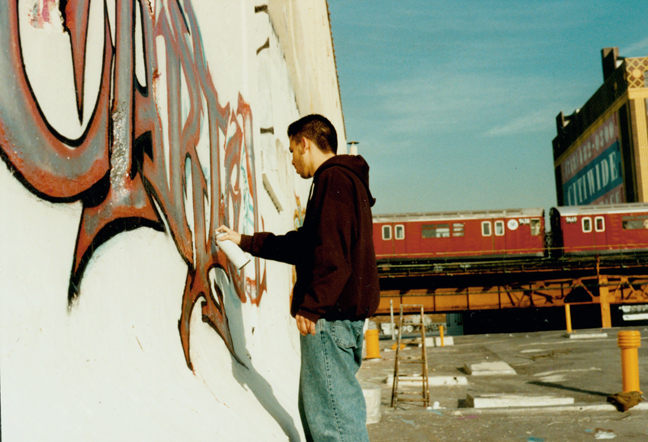 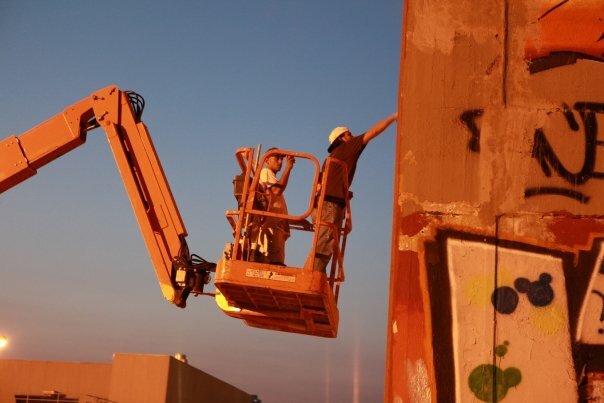 Graffiti was practically gone from train lines by this time, so this generation's artists ventured out into handball courts, rooftops, freight trains and trucks to make their own mark. 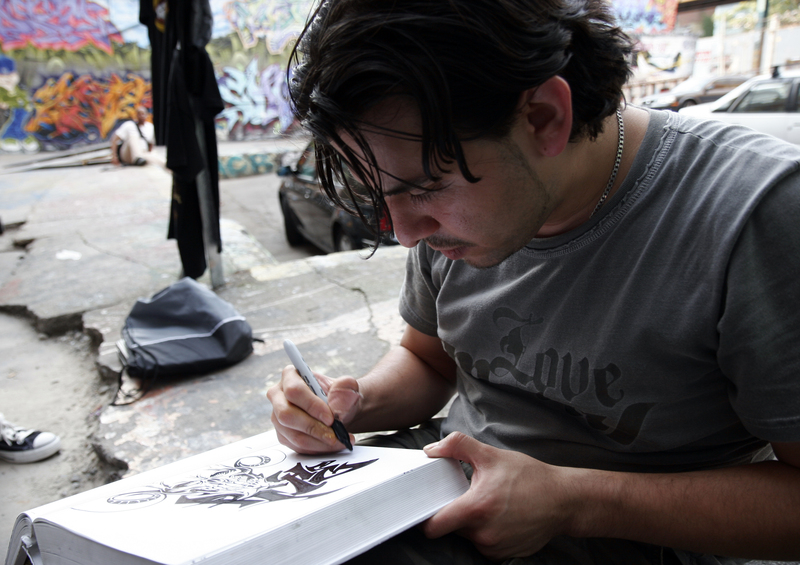 Cortes had just begun his pursuit of an artistic career. 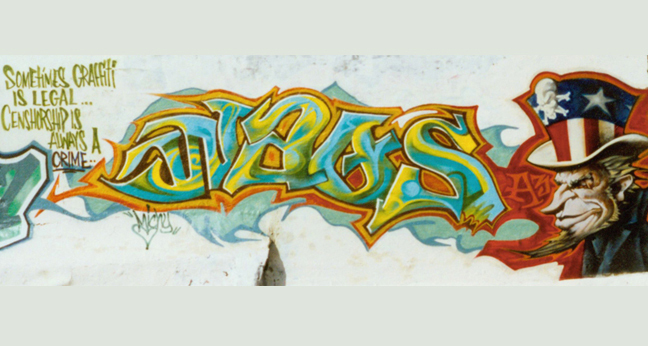 He took on the moniker "Waqs" derived from the Slang word for hip hop vinyl records and started his crew A3 which stood for Art Above All. 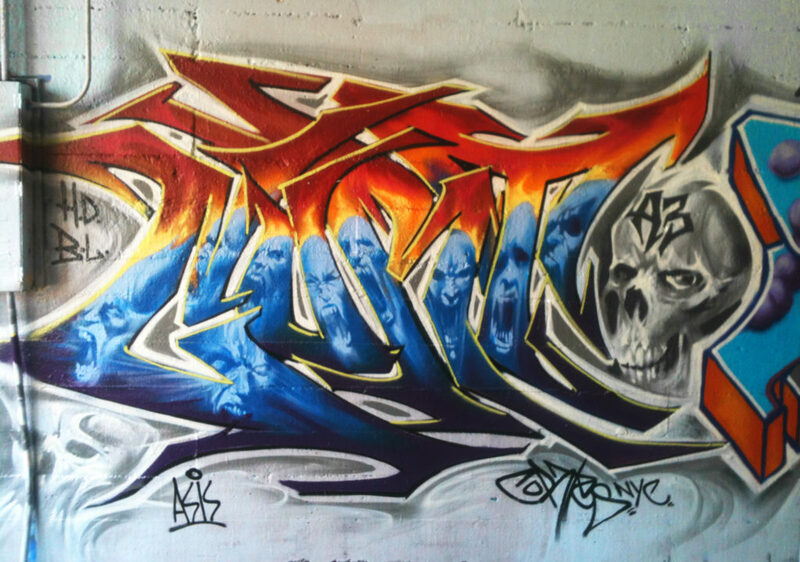 The original members included Greed, Este, Knee (Twrexx) and Egrol. 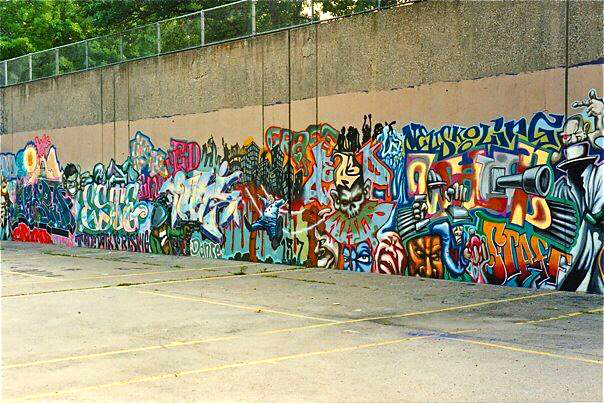 Together the crew tackled productions on walls and canvas, just like the previous generations had. 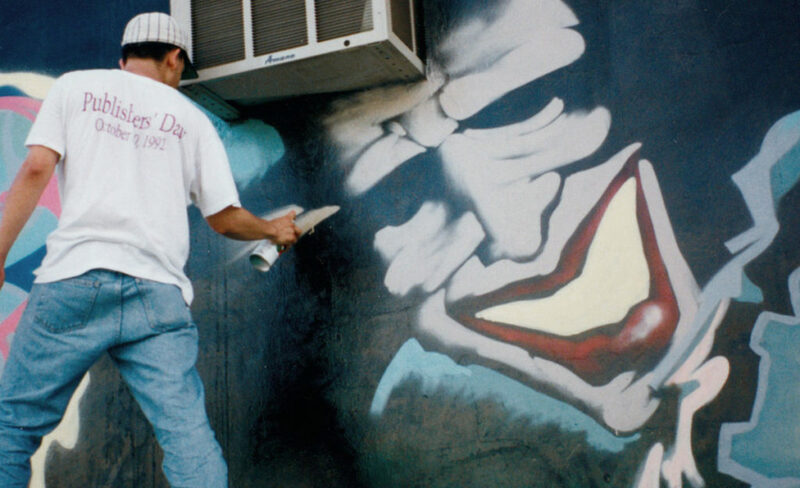 They created memorable walls that gained recognition early on. 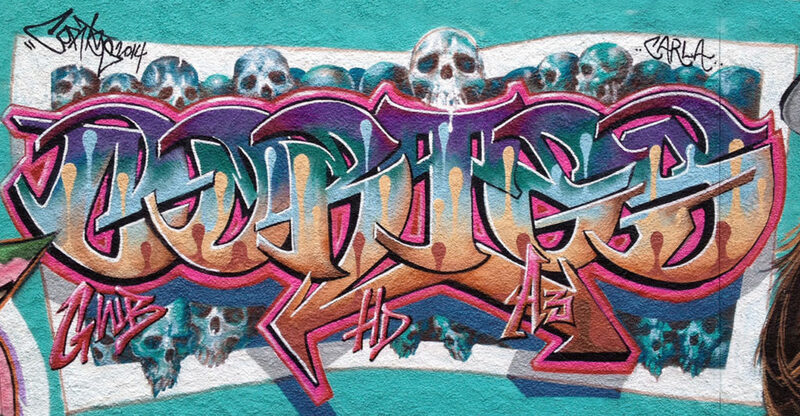 Cortes began to specialize in characters and anthropomorphic lettering styles. 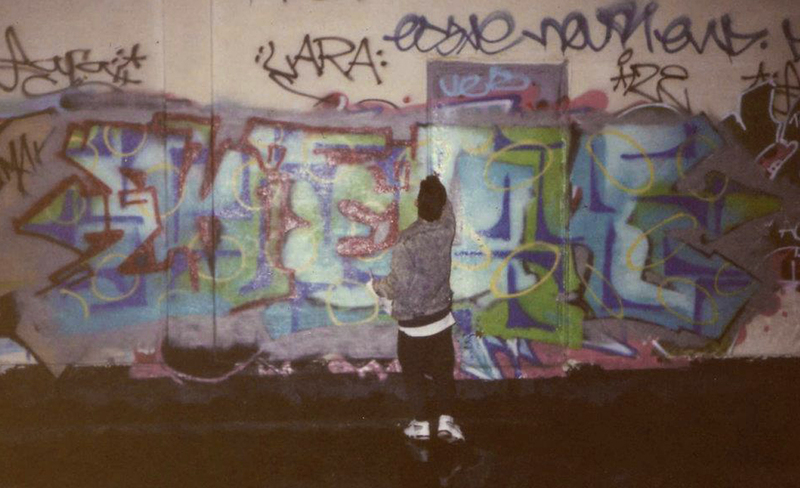 His letters were animated and full of life. 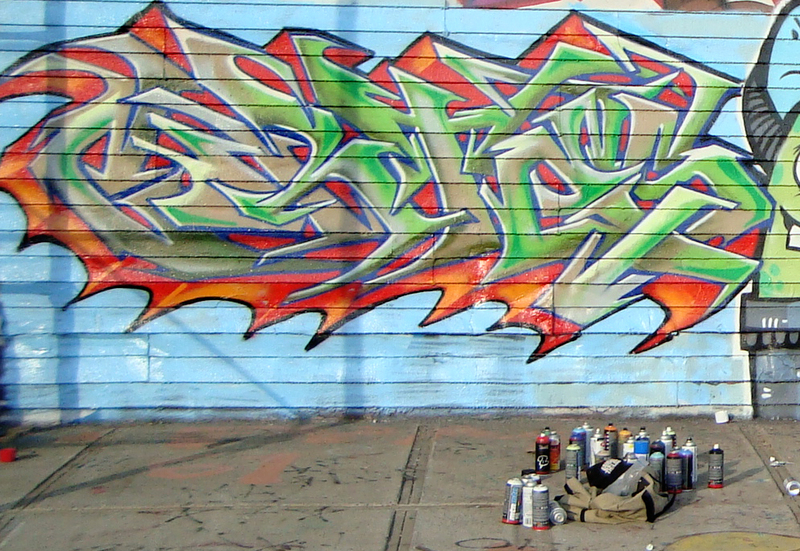 He also wanted to fill the negative space in his productions to give the eye a full composition. 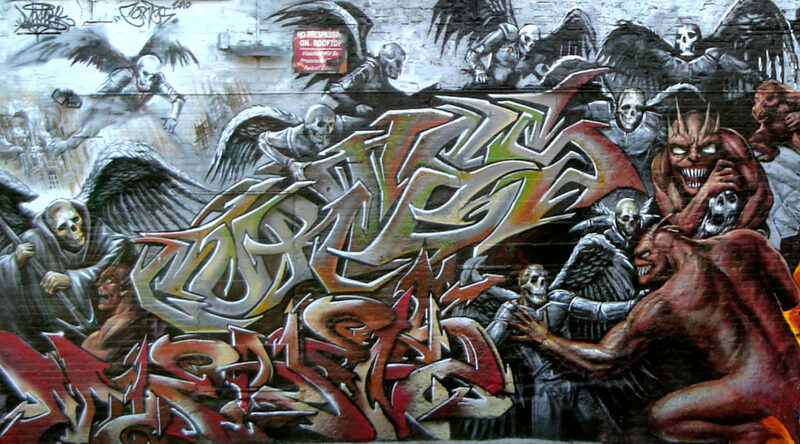 He wanted to bring order to the chaos of the scrawled walls left over from 80's New york. 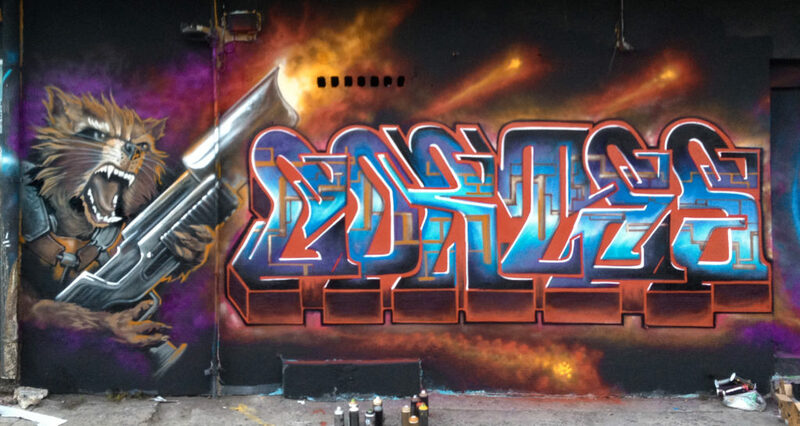 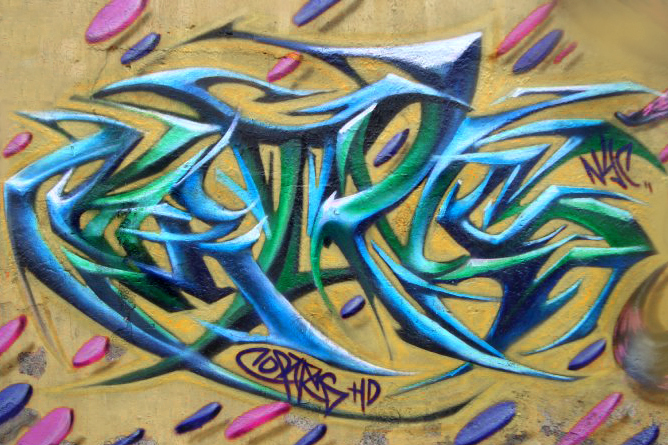 Cortes also focused on cut back spraypaint techniques, a form of overlaying spraypaint from dark to light. 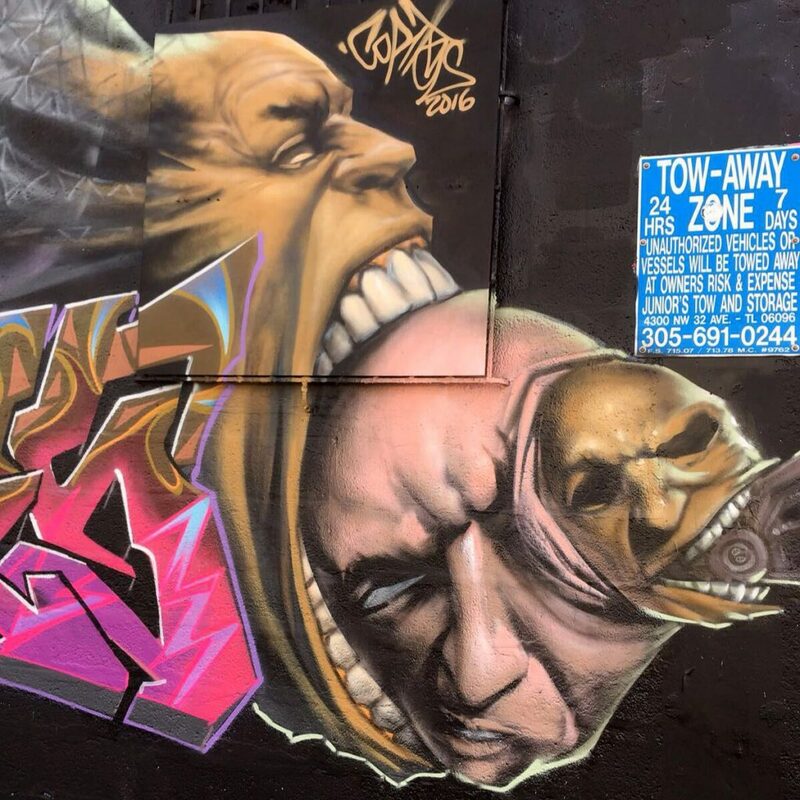 This was similar to a Renaissance painting technique, Chiaroscuro . 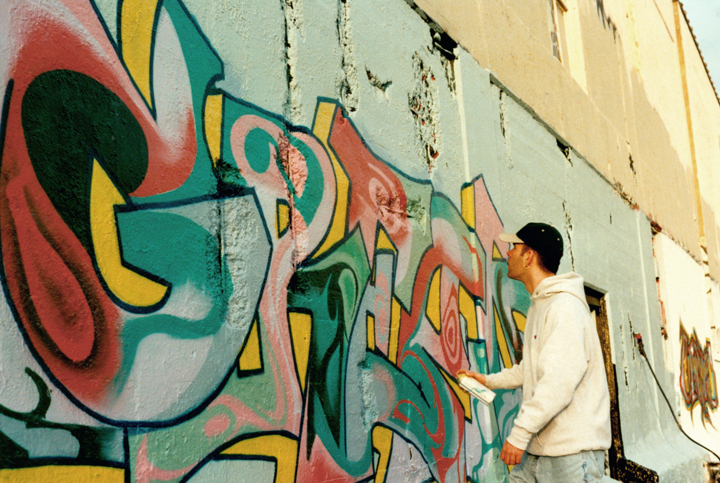 This method allowed him to work with spraycans that had broader caps to chisel out smaller shapes. 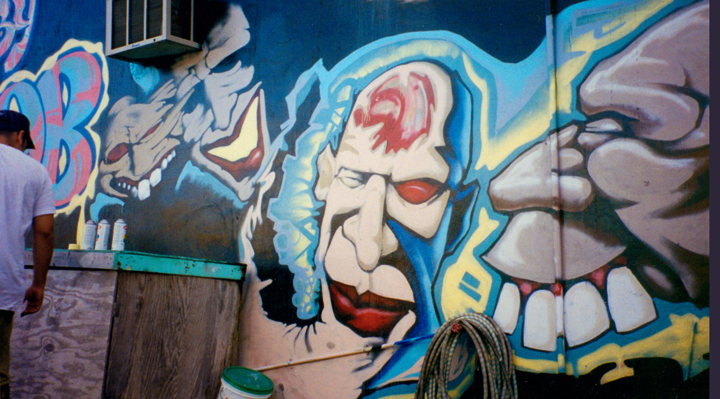 He also found he could compensate for lack of spraypaint colors by generating the halftones with the mist produced by two cans intercutting. 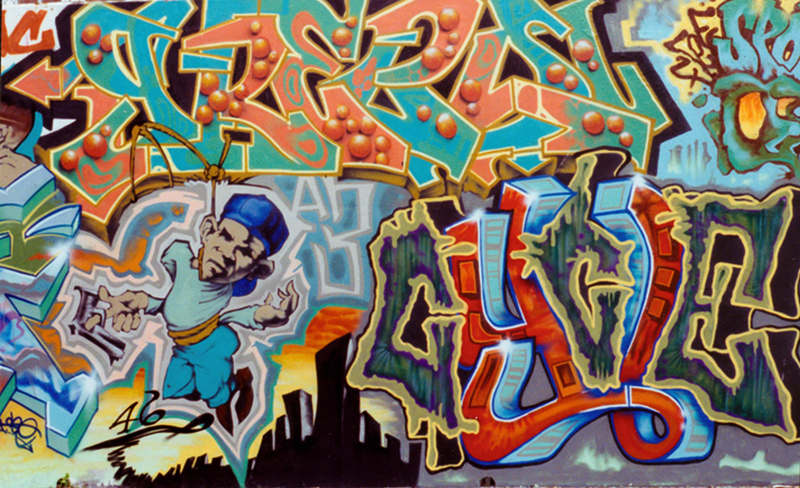 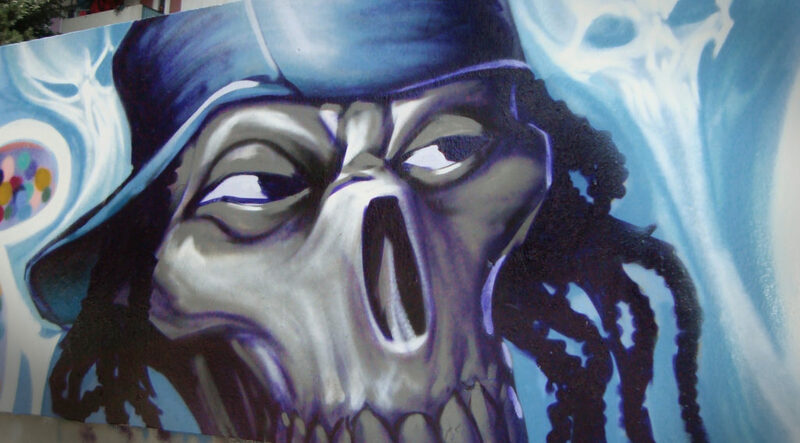 In 1993 Cortes & Greed started to paint at a legal graffiti location in Queens New York known at the time as Phun Phactory. 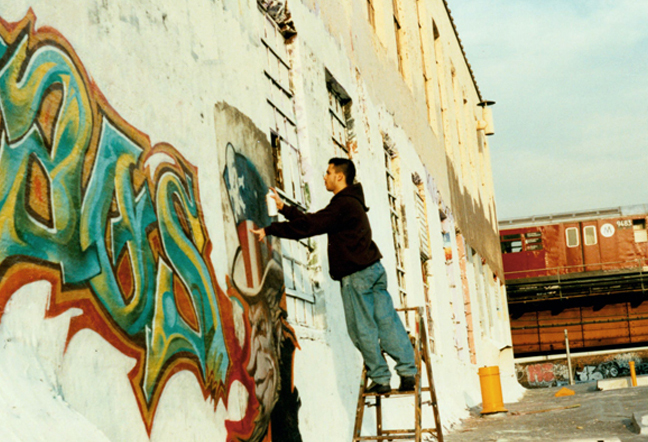 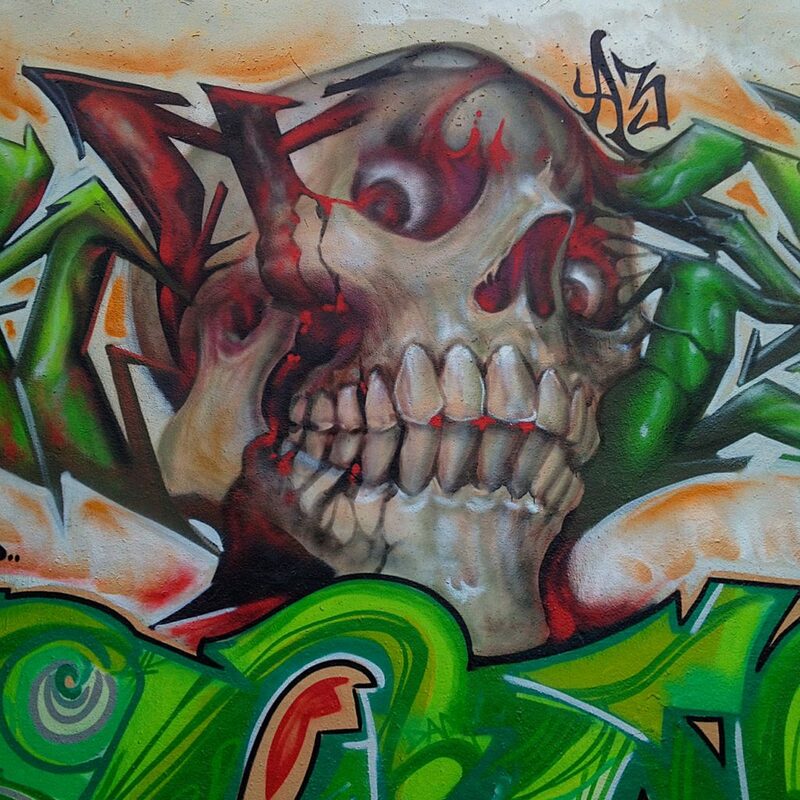 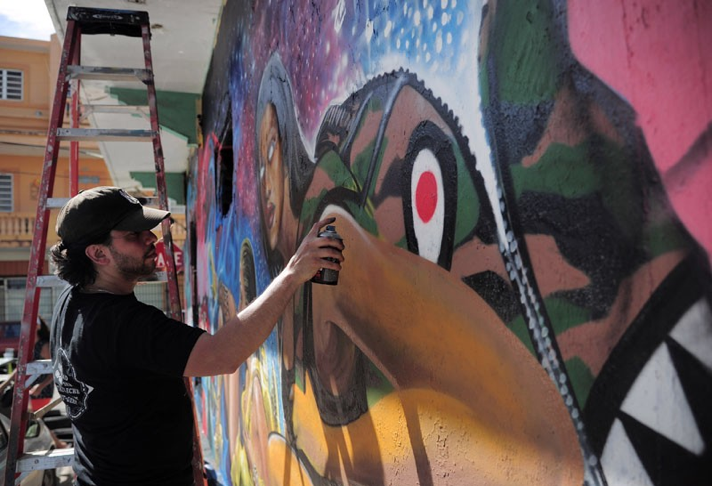 It was a large factory complex where local graffiti artists could go to practice their craft. 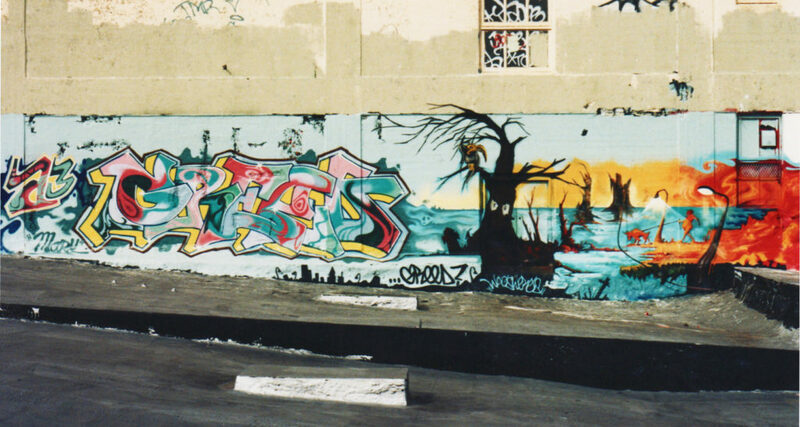 They Painted several pieces on the Factory rooftops. 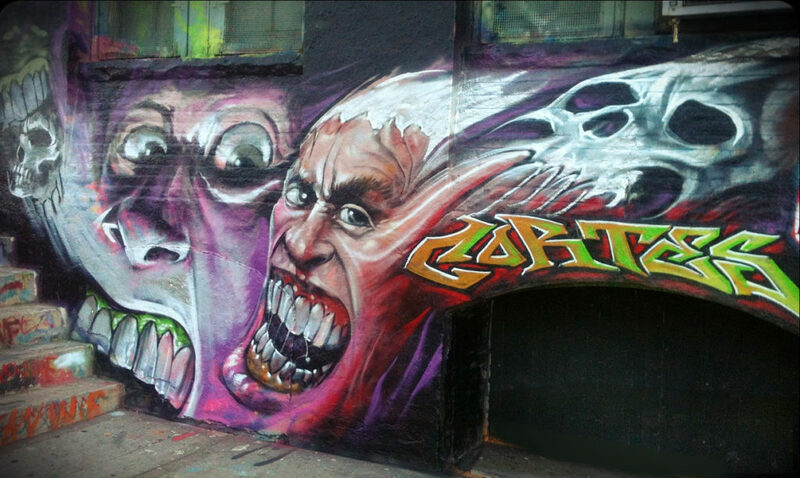 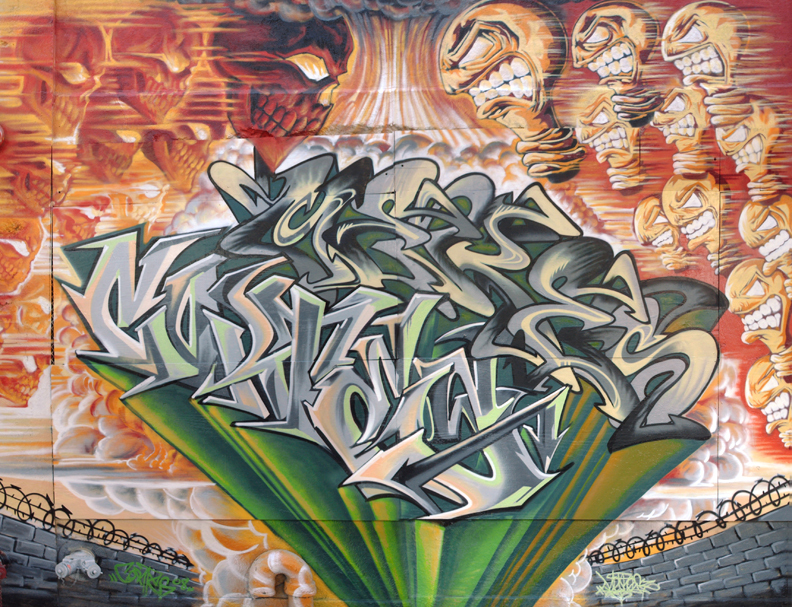 In 2007 Cortes returned from a 10 year graffiti hiatus to paint at the building now known as 5POINTZ. 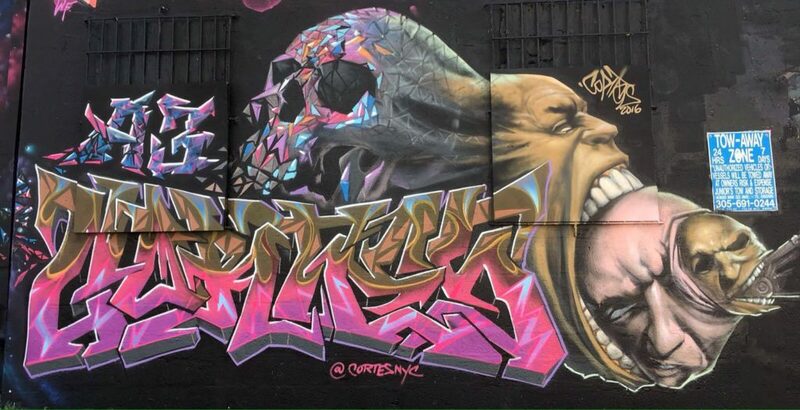 Meresone was an old admirer of Cortes' work and now was the full time curator of the graffiti mecca. 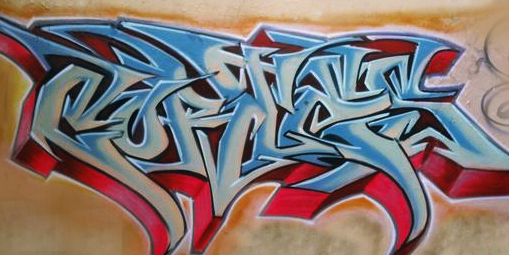 This following 6 years were a rebirth for Cortes, he stopped signing Waqs and was known simply as Cortes. 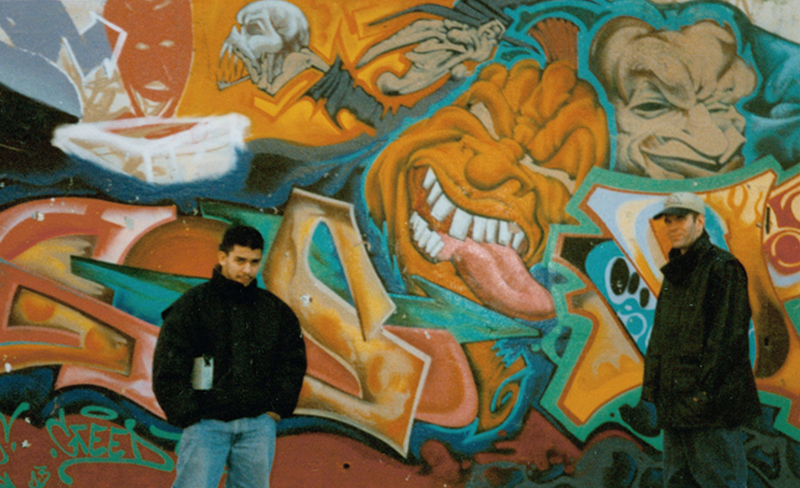 He was able to reconnect with many fellow artists he had only known by name. 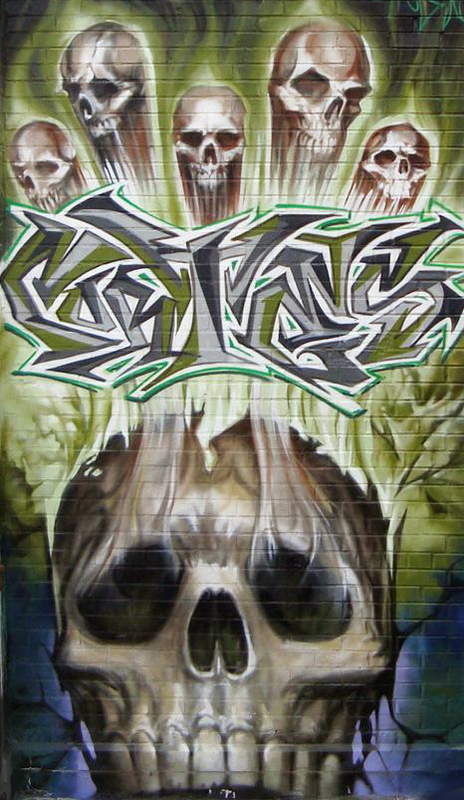 Cortes met new up and coming artists who were thrilled to finally meet him and saw first hand the evolution of graffiti into Street Art. 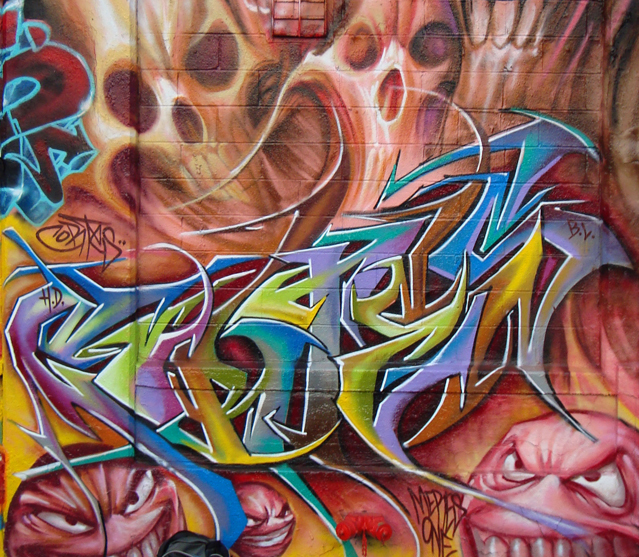 This new movement was built upon some of the 90's concepts of mixing different genres of art. 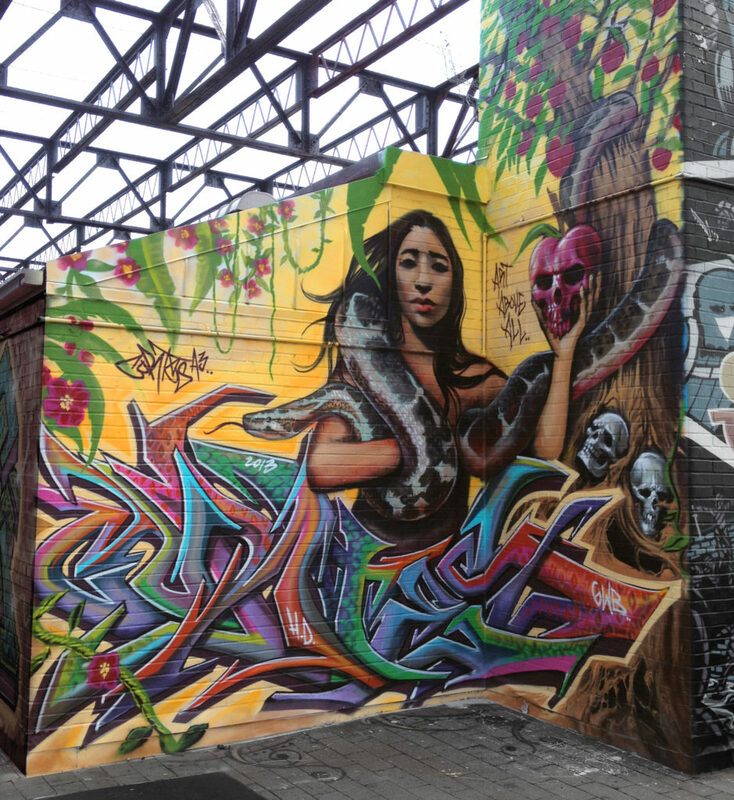 Cortes painted at 5pointz up to 2013 when the building was whitewashed. 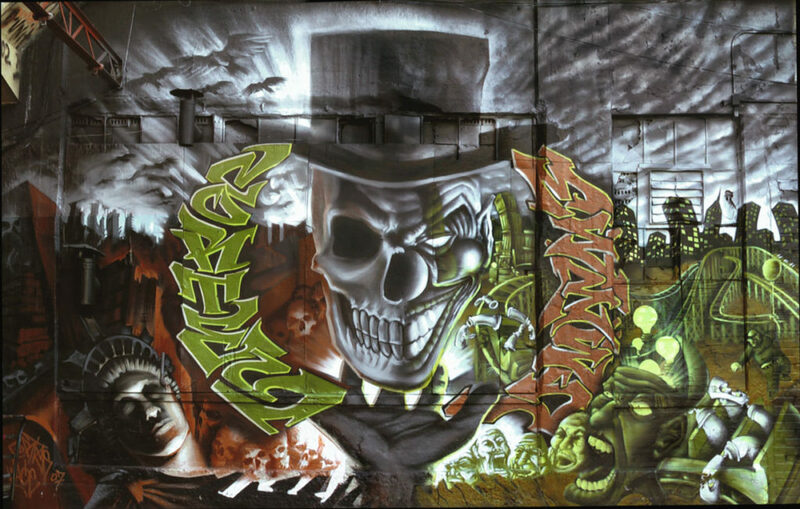 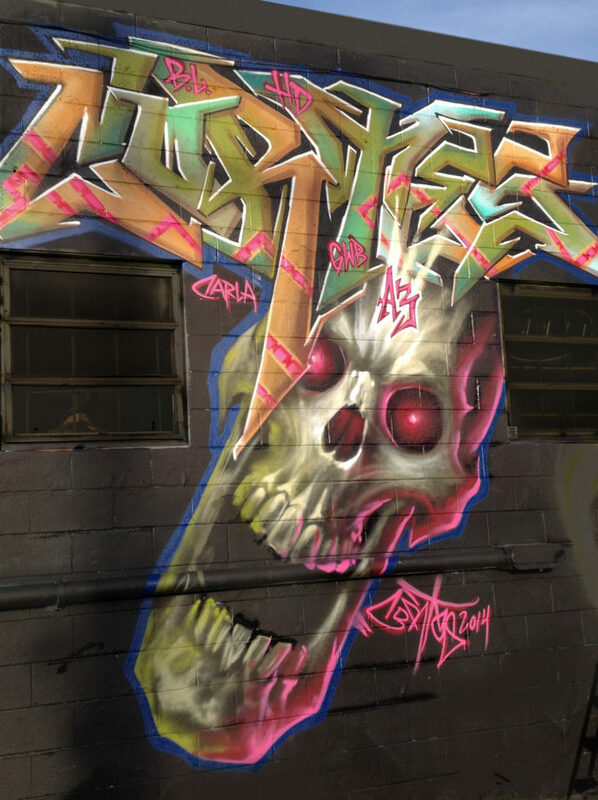 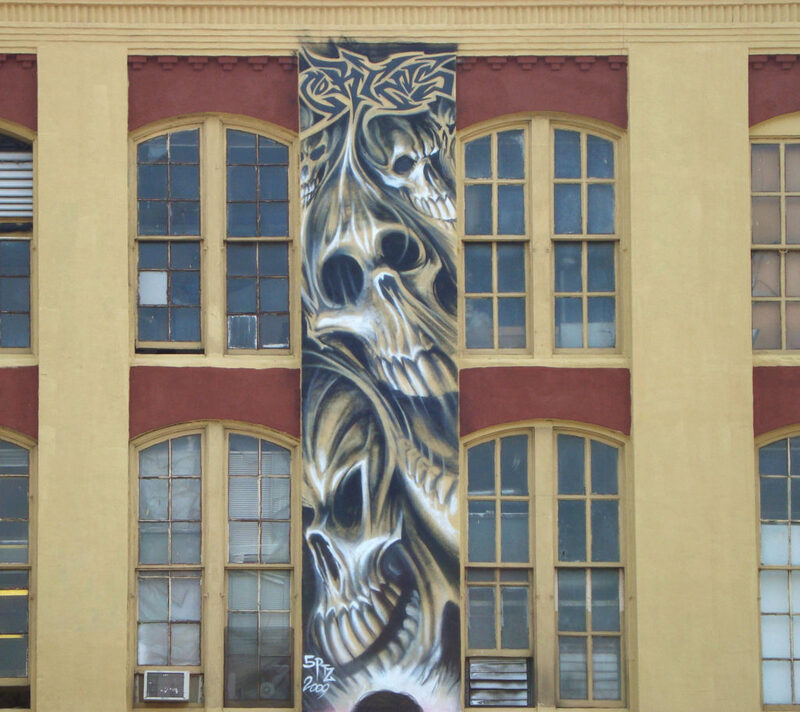 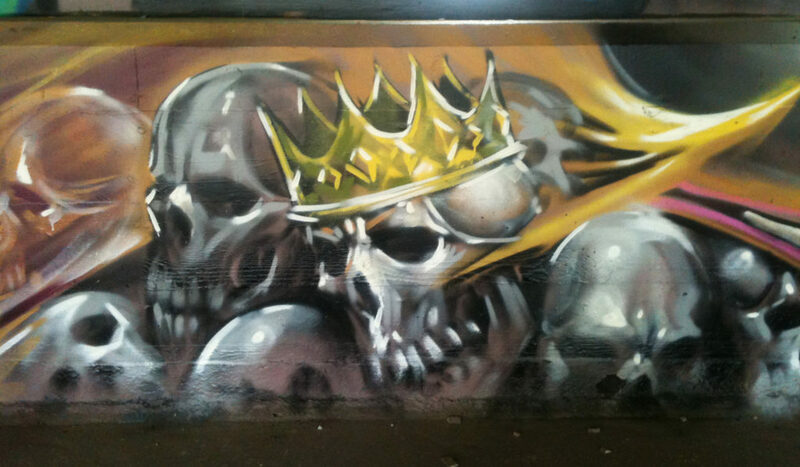 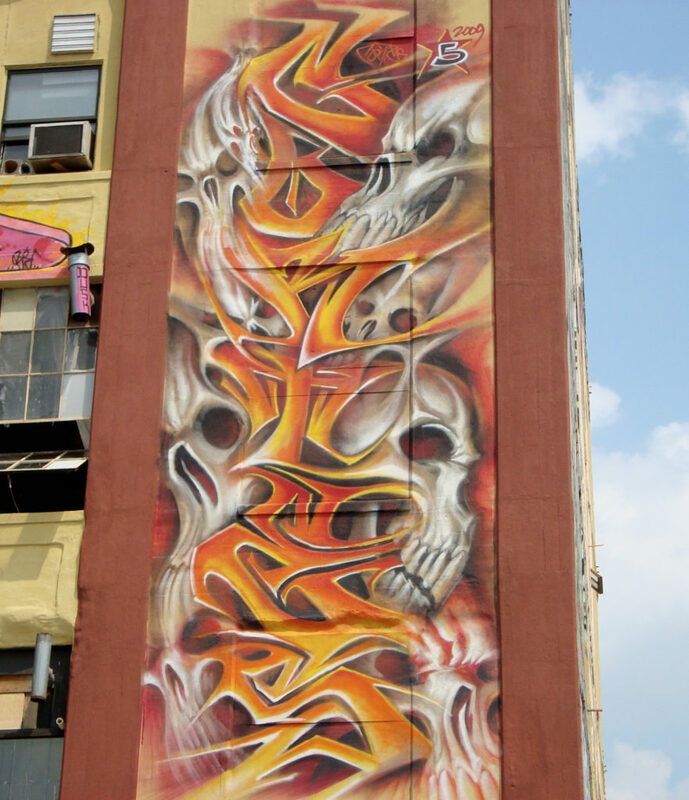 His most challenging work at 5pointz was his collaboration with Meres “Angels And Demonz” , and his series of skull pieces “Uphigh1” “Uphigh2” “Uphigh3”. 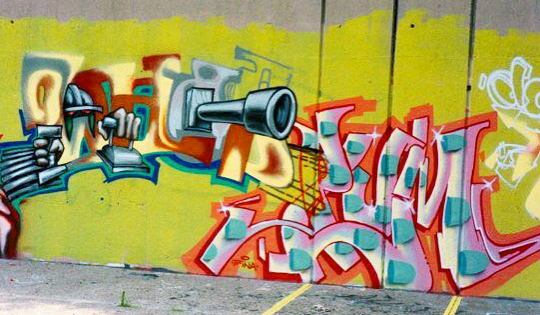 Art can communicate and connect people. 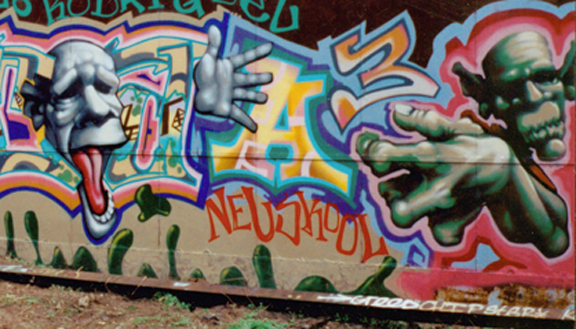 Graffiti artists have their own language. 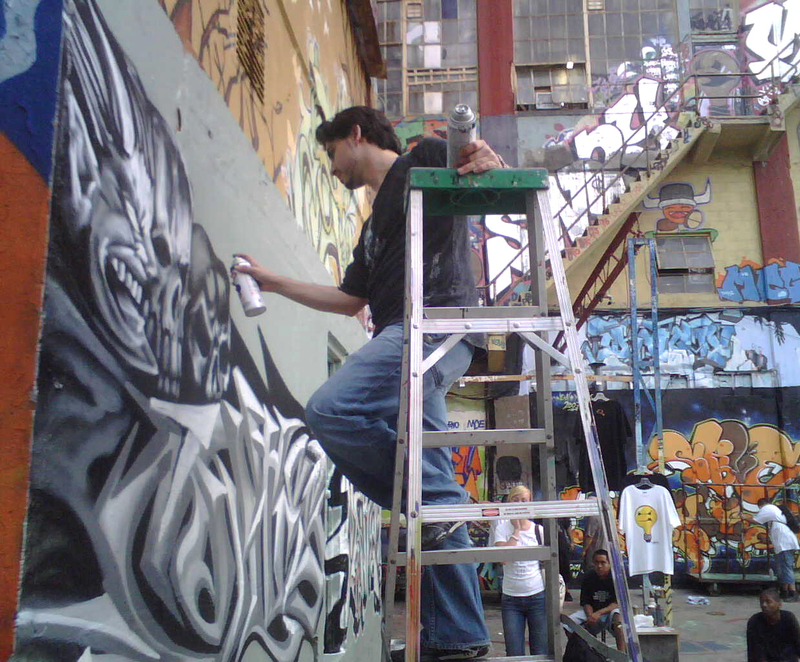 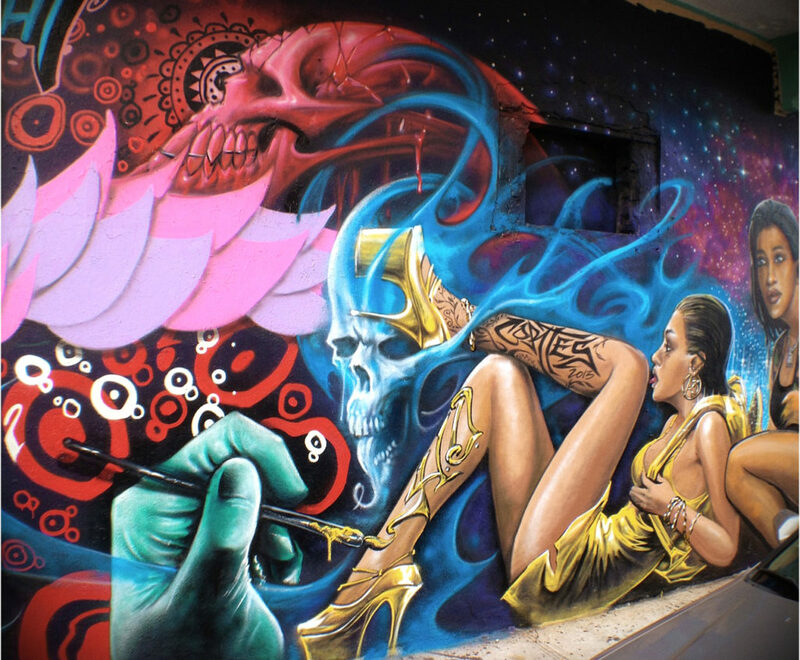 During his GraffTours, Cortes was able to meet artists from Spain, France, Puerto Rico, Dominican Republic, Ecuador among other countries. 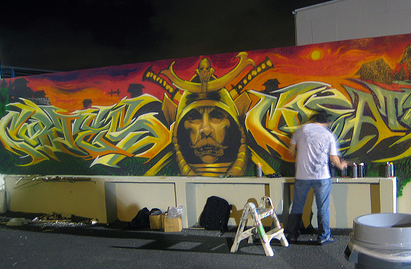 Cortes painted at Art Basel Miami. 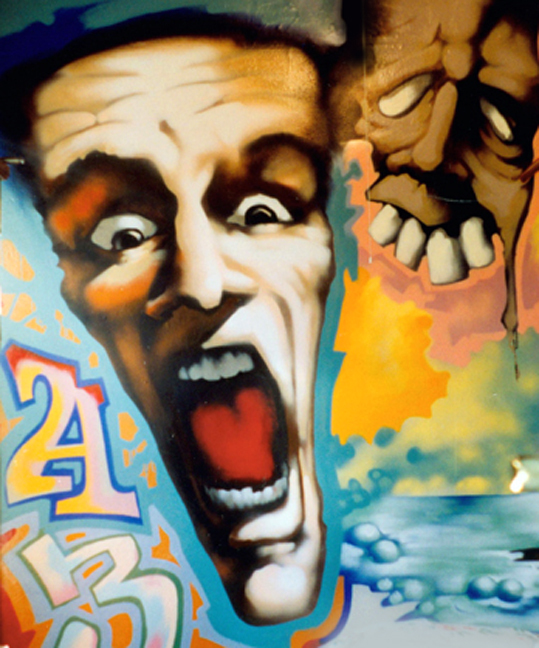 The international art fair is a celebration of contemporary art from all over the world. 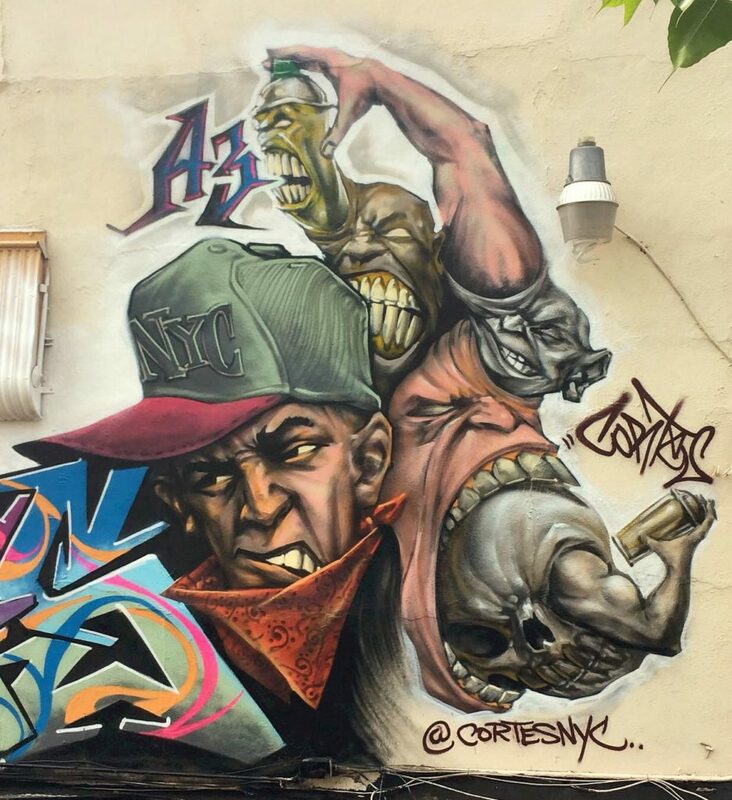 Cortes left his mark at the festival with his funky characters and unique lettering. 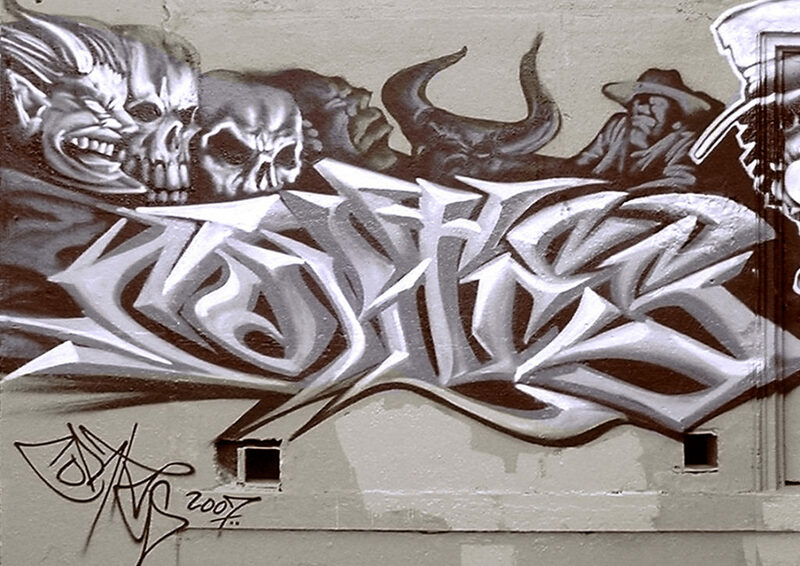 It has taken Cortes over two decades to develop his signature style. 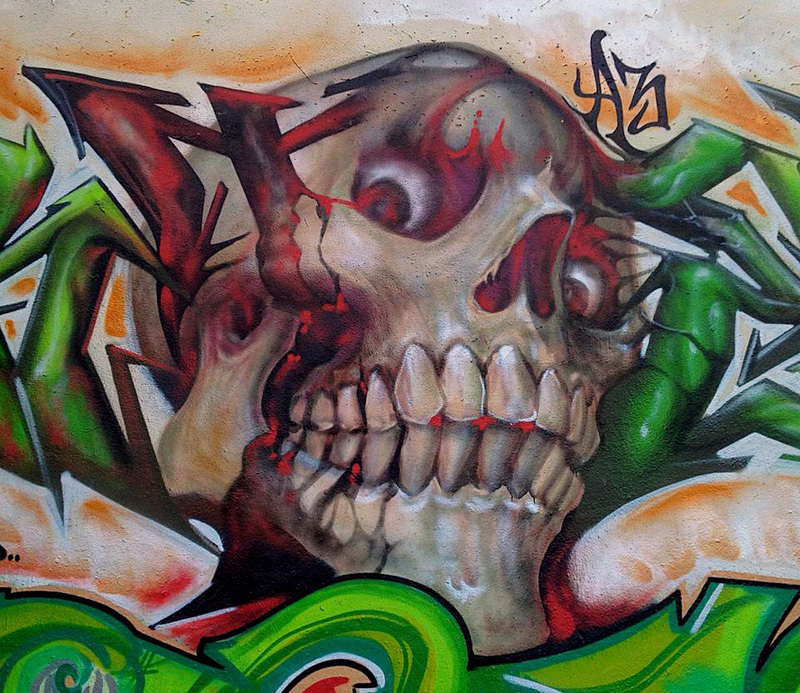 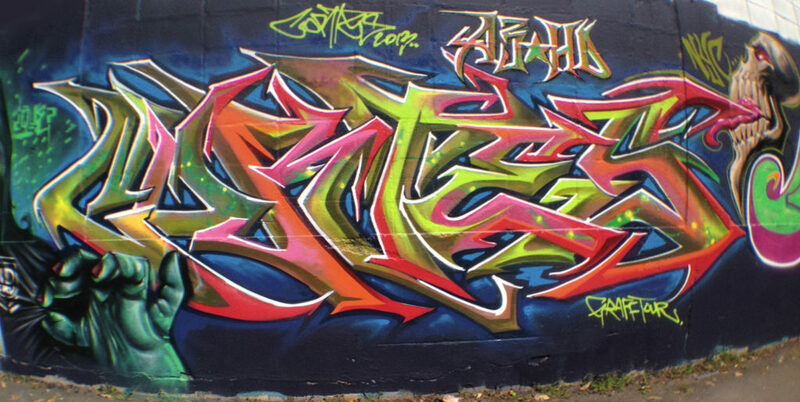 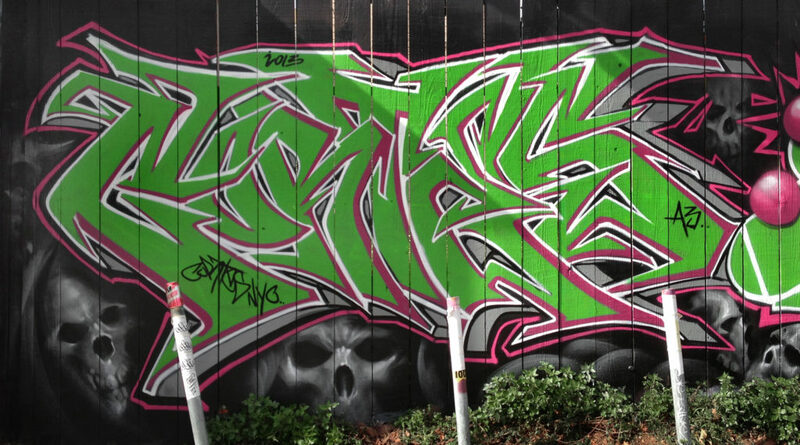 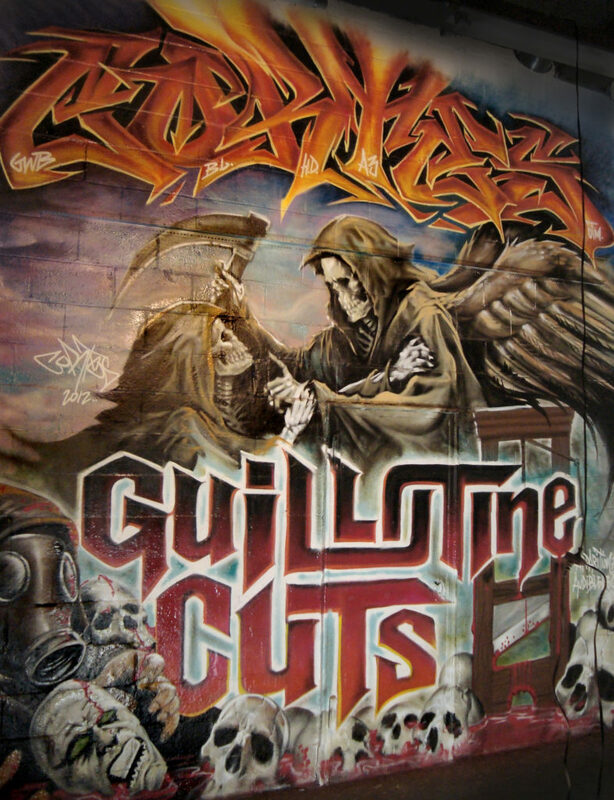 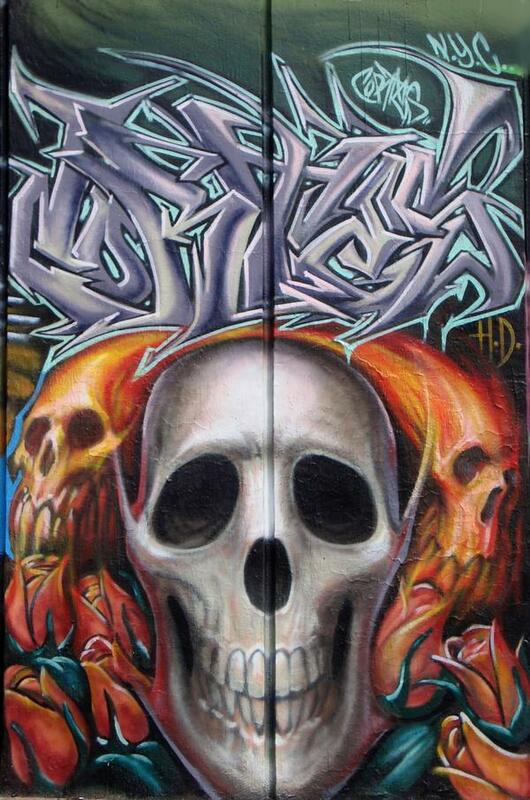 Here are a few more examples of Cortes' unique aerosol style.